I noticed that neither of the sites mentioned in the article are working today. So today I found this tool on the site of Transferwise. I also offers email alerts. Let’s see if it works in the coming weeks. Could any one tell me how my russian friend can send me money…i live in india and my friend is from russia. He is confused how can he ll convert money into indian currency through paypal. We both dont know about this app. I just made a account. maybe im confuse but do you know that info? 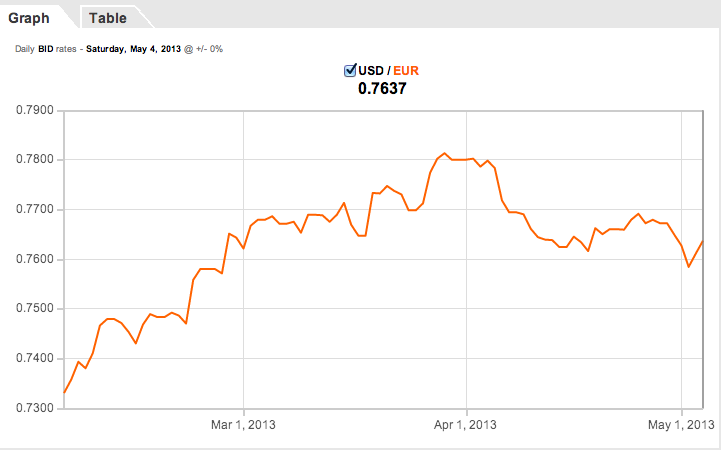 Great post, I was wondering why my balance is kept in USD even though i’m in Euro zone. I’ve heard people mention Payoneer for cases like yours, but I’m not an expert on that. Hi, thanks for your article – its a clever way to make sure you’re not getting ripped off. I receive payments from a foreign client in British pounds and usually convert to USD when accepting payment. Thereafter I withdraw the money to my South African bank account (which means another fee to convert it to South African rands). Should I rather keep the funds in the currency they were sent in? Does that mean no conversion is done until I choose to do so? If you are using PayPal then yes I’d keep them in GBP and only convert them to South African rands when I want to. Wow great tool! The problem I have is that the 3 month currency conversion ($ to £) looks to be at a high right now of .62 but paypal is only paying .60 today. So is the tool then useless if paypal doesn’t match the current exchange rate? Read my other post about PayPal exchange rates, PayPal are usually not the best place to have your conversions happen, and I’ve found a way around that. Is there any way to just work my way around their horrendous exchange rates? I want to withdraw $582 but I’m losing $17 just because of their outdated rates. My money is converted into rupees. PayPal charge me double. Why? Just fir trying paypal I order some thing that cost 1 us dollars = 60 INR but they charge me 120 INR. That means 2 dollar. Can anyone tell me why? guys, leave PayPal and move to TranferWise whenever you can. They are really two services with different uses. PayPal is most commonly used for accepting payments online, and there isn’t an easier service than that at the moment. That was good. Wish it worked here in India as according to rules here, we have to transfer PayPal balance to bank account within 7 days of receiving money or else PayPal will automatically transfer it on the last day at whatever the exchange rate is then. PayPal is already ripping me off a lot of my money with their ridiculous exchange rates.. 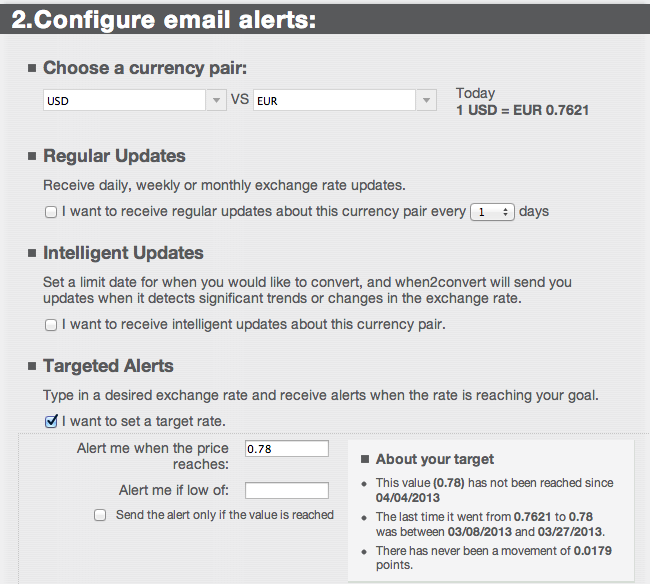 I do withdraw USD to EUR just above 100 € so to avoid the 1 EUR fee. $ 138 = €98,89 EUR, and still wanted the 1 EUR fee. It is. I am wondering, aren’t there alternatives? paypal is becoming so widely used and I don’t understand why when the fees are such. does it mean people don’t see the “price” of the service? no one else can compete? Paypal have established a footprint so large that it’s hard for anyone else to compete. However there are other ways of accepting payments which are growing more and more popular every day. Check out Stripe, PayMill, 2CheckOut, Avangate. thanks for the tip jean 🙂 really useful! That’s something I should really do but I just keep the money in USD and then convert it to GBP when I withdraw the money. PayPal’s fees are ridiculous though. I hate the idea of them ripping me off at the conversion stage, especially after taking off a hefty fee. I was actually referring to the stage of withdrawing the money, where PayPal does not actually charge a fee (as far as I know). Are you referring to occasions when you pay someone in another currency rather than what you have in your account? I keep most of mine in USD too, then they get automatically converted when I withdraw to my bank account. I keep my USD PayPal payments in a USD balance and convert when withdrawing to my (GBP) bank account. However, on doing so, PayPal then converts my balance to GBP itself automatically on withdrawal and applies the same extra 2.5% conversion rate to its exchange rates that it would when converting in any other manner. I’d love my bank to handle the conversion but PayPal refuses to allow me to withdraw USD to a British bank account. I even considered setting my account up as a USD account so that I could handle conversion manually, but apparently, when PayPal is asked to withdraw in USD to a USD account in Britain, it nonsensically converts the currency TO GBP and then converts it BACK again, basically just so it can levy the charges multiple times. So can you think of any way around this? Well this is exactly what I asked Paypal to change for me and they did it without any problem. It seems to be an arbitrary decision though, depending on who the support tech on the other end is. It could also be that they got newer instructions from above to stop making these exceptions.